We all like to think that were are safe in our homes but unfortunately, many homes are not as safe and crime-proof as they supposed to be. The chance that someone will sneak in your home while you are away or sleeping are small, however, burglaries do happen to someone. Living in a conviction that you have nothing worth stealing or that you are living in a safe neighbourhood can put you at increased risk of becoming a victim of crime. It is never the victim’s fault and it is impossible to make your home 100% burglar-proof but there are ways to improve your home safety such as a using reputable security firm and reduce the risk of burglary. Always lock the door and windows even if you are inside the house. Ensure you have a good quality lock fitted by a reliable firm. It may seem unnecessary to lock yourself in the middle of the day, however, crime does not only happen during the night and burglars often do not need a lot of time to take advantage of the opportunity. You can easily find yourself without your valuables, wallet and even larger items while you are in the toilet or taking a shower. Be suspicious to strangers. Not all strangers have bad intentions but you can never know who is pretending to conduct a research or selling door to door and who is using it as a disguise to see your home and if you have anything worth breaking in. Never leave valuables or cash on visible areas. Hide valuables, cash as well as car keys, jewellery, fine pieces of art and similar attention-drawing items out of sight because they may give potential burglars a reason to break in your home while you are away or sleeping. Various companies offer integrated safes and hidden compartments for valuables. Do not leave the door key under planters, doormat or similar hiding places. Even if no one except for your family members knows about your key hiding place, there are not many places where it could be hidden. Unfortunately, the burglars know exactly where to look for a spare key no matter how well you think you have hidden it. Teach your children not to open the door or answer the phone when they are home alone. Although it is better to make an impression that your house is not empty, children may unintentionally reveal too much, for example when the home is empty. Consider installing an alarm system. 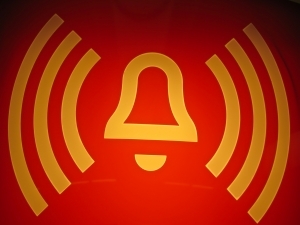 It will not prevent a break in but a loud sound alarm usually drives the burglars away before they can steal anything from your home. Take care for good lighting outside during the night. Well lit homes are deterring the burglars because they increase the risk of being noticed while sticking around the house or trying to break in.